This area contains references to available books of general interest from ministers of the Free Church (Continuing) as well as other items relevant to its principles. Eric Liddell thrilled the sporting world with a great Olympic triumph at Paris in 1924. Susequently he devoted his life to serving Christ as a missionary in China. This is his story compellingly told by the Rev John Keddie. George Smeaton (1814-89) was one of Scotlands foremost theologians in his day. Although his books, particularly those volumes on the doctrine of the atonement and the doctrine of the Holy Spirit, have been reprinted several times, little has been written about this man who was a divinity school classmate and contemporary of such men as Robert Murray M Cheyne and Andrew and Horatius Bonar. George Smeaton Learned theologian and biblical scholar, engagingly written and thoroughly documented by John W. Keddie, brings to life this nineteenth-century pastor, theologian, professor and author, who was described this way in an appreciation adopted by the 1889 General Assembly of the Free Church of Scotland shortly after his death: ‘A man of massive intellect and unwearied diligence, of profound erudition and exact scholarship, he consecrated his talents, his time, and the wealth of his learning to the service of God, and the interpretation of his holy Word. 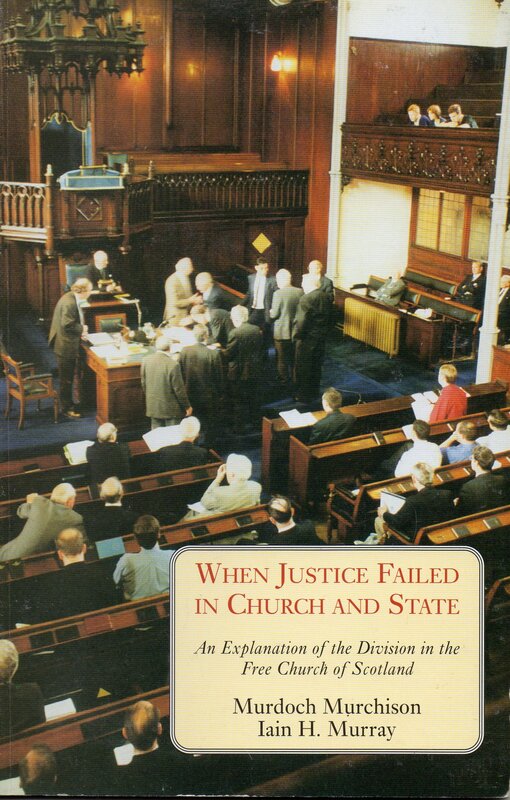 This 88 page book by the Rev Iain H Murray and Dr Murdoch Murchison provides an explanation of the events leading up to the division inthe Free Church of Scotland in January 2000. 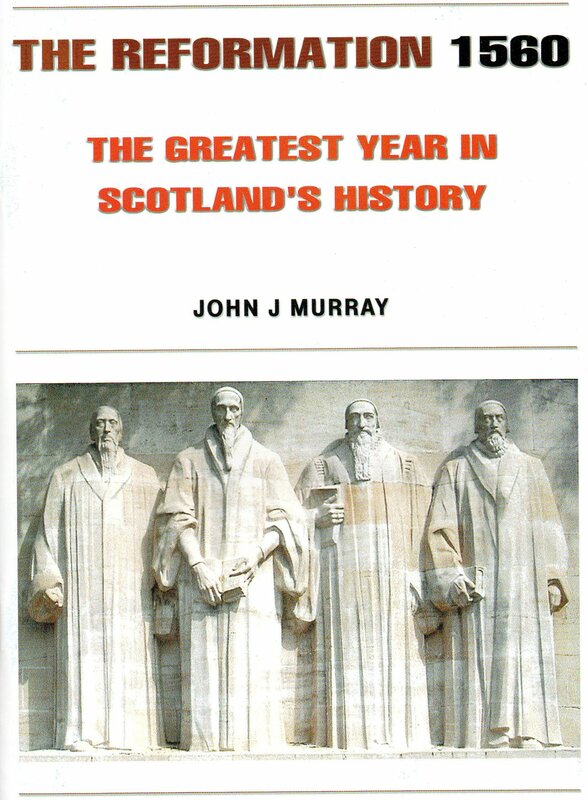 A wonderfully concise and informative account of the Reformation in 16th Century Scotland by the Rev John J Murray, with pertinent lessons for the Church in 21st Century Scotland, and beyond. Excellent. Exposition of the principles in the use of Biblical Psalms in Worship by the Rev John Keddie. An easy-to-read book about singing the Psalms in worship. Keddie’s defense of exclusive psalmody is thoughtful, respectful, and simple. In this important book, Keddie answers frequently asked questions regarding important topics for anyone interested in psalms. THE LORD’S SUPPER. Rev. John Morrison (Retired): Minister of Kilmuir & Stenscholl in 1999 – 2010. 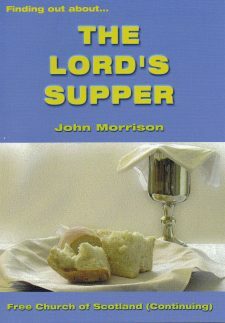 An exposition of the doctrine and practice of the sacrament of the Lord’s Supper by the Rev John Morrison, lecturer in Systematic Theology in the Free Church Seminary, Inverness.